I started off my journey from office by taking a bus to Thuampui, which is in Aizawl, the capital state of Mizoram. The weather is usually very pleasant in the morning and then it starts pouring cats and dogs by 3 in the afternoon. I reached Lalnuntluangi's tailoring shop at around 11 a.m. At the entrance of her tailoring shop, she had a little display rack where she had exhibited some bakery items such as bread and biscuits which she gets from a bakery called Holy Cross Bakery. Lalnuntlaungi was busy sewing clothes when I reached her shop. I was warmly greeted and offered a cold glass of drinking water. After introducing myself, I immediately got down to the informal interview. Lalnuntluangi was very friendly and enjoyed talking about her work, family and life. 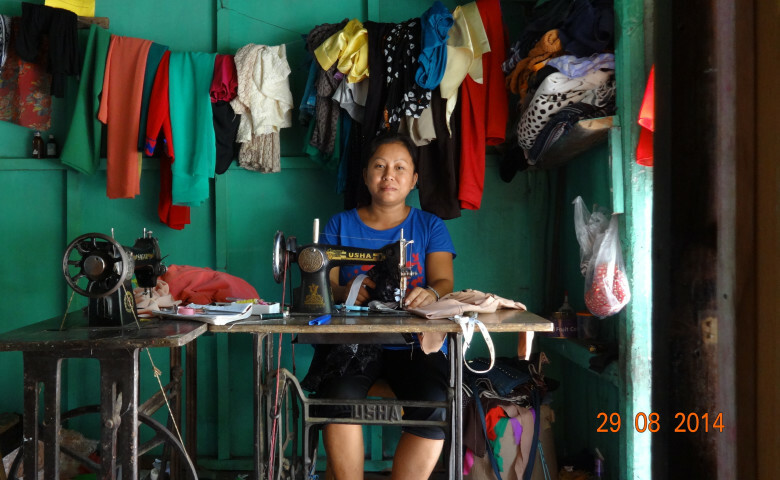 Her daily routine starts by getting her three kids ready for school, then she picks up bakery items to be sold at her shop and she then opens her tailoring shop at 8 a.m. By 4.30 p.m she closes her shop and takes home clothes to be cut and stitched. Her husband is studying Law, she she is the main bread-winner of the family. Her uncle who also stays with them. helps them financially and also helps pick and drop the kids to school. Her house is ten minutes away from her shop. She earns about Rs. 5000 a month. She says,"By the grace of God and with the support from Milaap, her business has been going well." With the Milaap loan, she bought different varieties of fabrics from Silchar in Assam. She and the other four members of the group are extremely grateful for the support and are confident that they will be able to repay the entire loan.